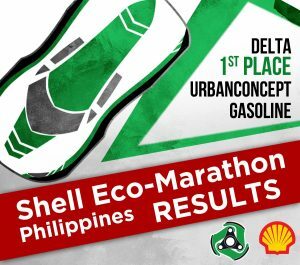 In the recently concluded Shell Eco Marathon Philippines, held last February 2-5, 2017 at Mabalacat, Pampanga, the DLSU Eco Car Team placed first in the Urban Concept Gasoline category. 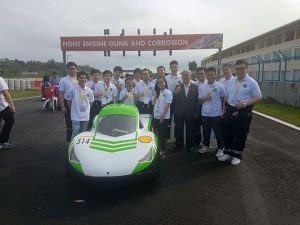 A total of 26 teams composed of 260 Filipino engineering students from 17 educational institutions all over converged at the Clark International Speedway in Pampanga to take part in the first-ever Shell Eco-marathon Challenger Philippines. 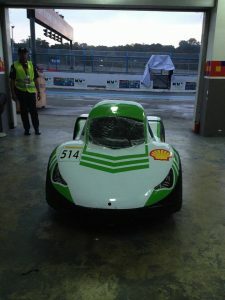 A version of the Shell Eco-marathon (SEM) Asia, the renowned global competition challenges student-teams to design and build innovative and energy-efficient cars of the future. For the competition, the students will be utilizing an energy mix that includes biofuels such as ethanol, to technologies such as compressed natural gas and gas-to-liquids (GTL) apart from conventional fuels like gasoline and diesel. Shell Eco-marathon is one of the advocacy projects that global energy and gas technology leader Shell drives its future energy visions of powering growth more sustainably by promoting innovation, energy efficiency, and upholding smarter mobility through smarter products, smarter use, and smarter infrastructure. The company also diversifies the energy mix by pioneering cleaner-burning energy resources such as natural gas. With SEM Asia competition as the highlight of Make the Future festivities, visitors will also experience the ideas, contribute their own, and join the journey to an energy-efficient, low-carbon future. Through virtual reality and hands-on experiential zones, visitors will be able to explore what is happening now and what the future of energy might look like, from renewable energy to natural gas and low-carbon technologies. Visitors can also learn of the various innovations from across Asia and participate in interactive zones about the future of energy, mobility, and innovation by Shell and its partners. Winners of the local Shell Eco-marathon competitions will be supported by Shell in their entry to the regional tilt. To know more about the event, check out www.shell.com/ecomarathon. Team DLSU placed first in the recently held Philippine Institute of Chemical Engineers (PIChE) National Quiz Bowl, held at LimKetKai Luxe Hotel, Cagayan de Oro City last February 22, 2017. Alongside DLSU, teams from the University of the Philippines Los Baños, University of the Philippines Diliman, Adamson University, University of Santo Tomas, Mapua Institute of Technology, University of Saint La Salle, Mariano Marcos State University, Colegio San Agustin-Bacolod, and Batangas State University also participated in the competition. Team DLSU is composed of Donna Angeles (team captain); Christian Jay Balboa; Joshua Martin Kalaw; and Francis Ian Tobias. Chemical Engineering faculty members Dr. Vergel Bungay and Dr. Lawrence Belo served as coaches. They were also trained by past quizzers Engr. John Frederick Tapia and Engr. Sed Anderson Holaysan. In a separate competition, Industrial Engineering majors Christine Fernandez, Justine King, and Adrianne Tiu won second place in the Industrial Paper and Action (INPACT) 2017, an international competition hosted by the Industrial Engineering Department of the University of Sumatera Utara. The competition was held from February 22 to 25 in Medan City, North Sumatra, Indonesia. The team scored 224.970 points, achieving second place overall. 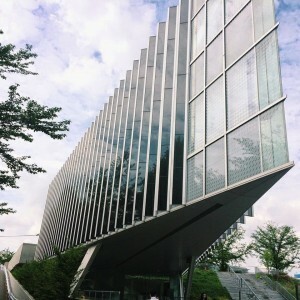 Indonesia’s Bandung Institute of Technology placed first. Another group from the Industrial Engineering Department won first runner up in the 14th Philippine Institute of Industrial Engineers (PIIE) National Student Congress held at Polytechnic University of the Philippines Sta. Mesa last February 24. This group is composed of Ian Frederic Ilagan, Paul Siegfried Barrios, Jayne Lois San Juan, Alysa Kimberly Tee, and Carlos Ilagan. IE Department faculty members Dr.Charlle Sy and Eric Siy served as coaches. Team Animo of De La Salle University placed second in the recent 2015 Sikat Design Challenge. 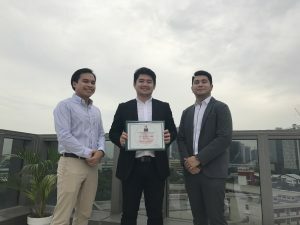 Six teams presented their pitches last February 2 at The Loft, Manansala Tower, Makati City. 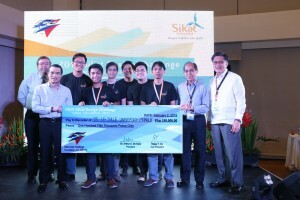 The top three teams, including the Team Animo, were awarded after the pitches. 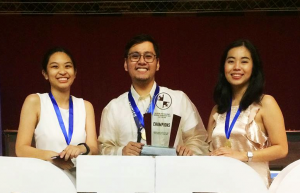 The team from the Mapua Institute of Technology emerged as the champions while Team Animo of DLSU and the team from ADMU shared the seat as runner ups. For four months, the twelve teams were asked to create, to develop, and document an idea that would help their chosen community. For the DLSU team, the idea of an integrated modular microhydro generator and aquaponics system was developed for Sitio Apia in Antipolo, Rizal. This would help the community generate electricity with the micro-hydro while producing high value crops and fishes with the aquaponics system. 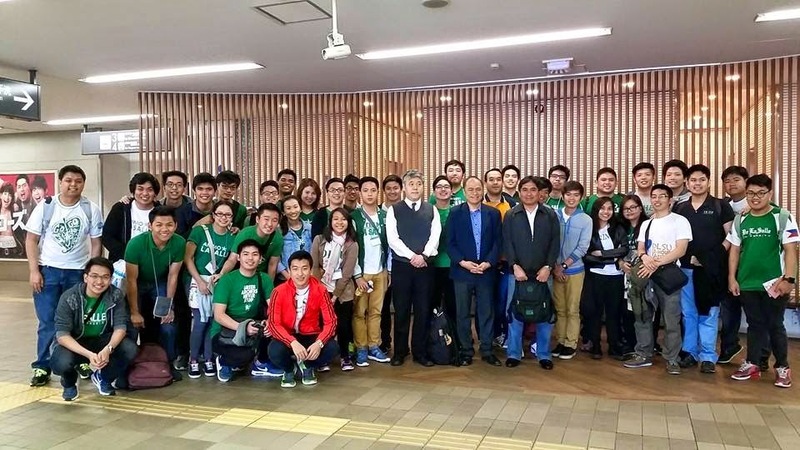 Last April 29 to May 8, 2015, students from De La Salle University’s Civil Engineering (CE) and Manufacturing Engineering and Management (MEM) programs were invited by the Tokyo Institute of Technology to a ten-day socio-cultural exchange program. 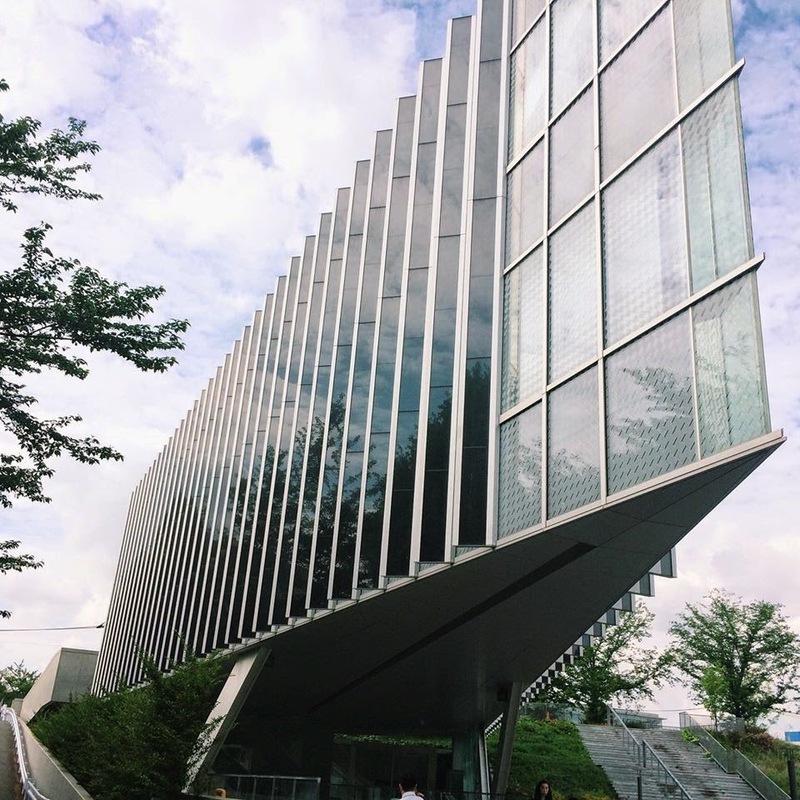 The program is aimed at exposing students to the technological developments of Japan, its academic culture, as well as foster closer ties with students and faculty of the Tokyo Institute of Technology. 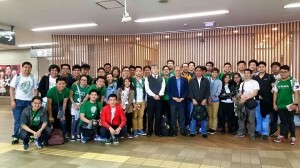 Aside from the technology and academic immersion, DLSU students also experienced the rich cultural heritage of Japan as well as an opportunity to visit landmarks such as the Miraikan Museum, Rainbow Bridge, and the Tokyo Skytree. Readers who are interested in learning more about the students’ experiences in Japan can visit animoCIVnews. The students availing of the program will be responsible for other expenses such as visa fees, travel insurance, host university insurance if mandated, and other fees, expenses, or payables that will not be covered by the program. Deadline of submission of all applications at the International Center, SJ 207, is on June 25, 2014. You can also visit the International Center and inquire with Mr. Reodel Masilungan, International Center Unit Head and Global Education Specialist. Interested parties can avail of the outbound exchange student program admission form here. 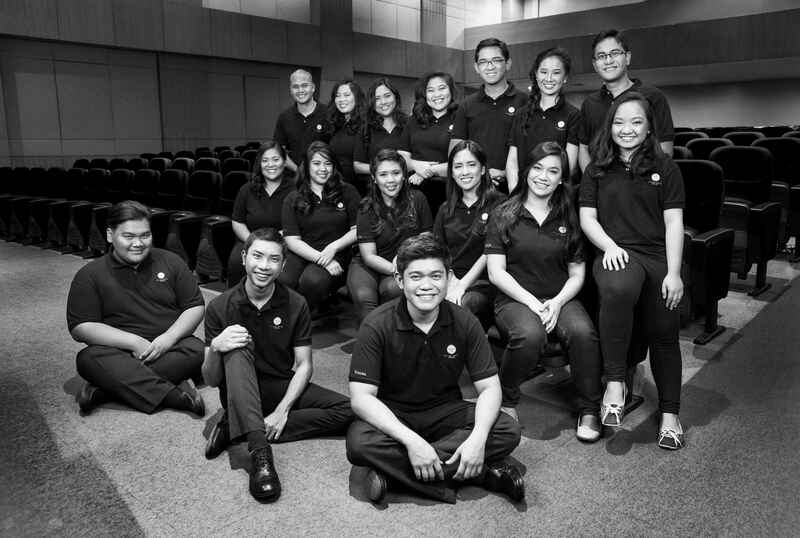 The DLSU Chorale is a wonderful group of singers that anyone who has the opportunity of listening to can tell is utterly passionate about their craft. The choir was established in 1987 with the purpose of being De La Salle University’s official choral group. 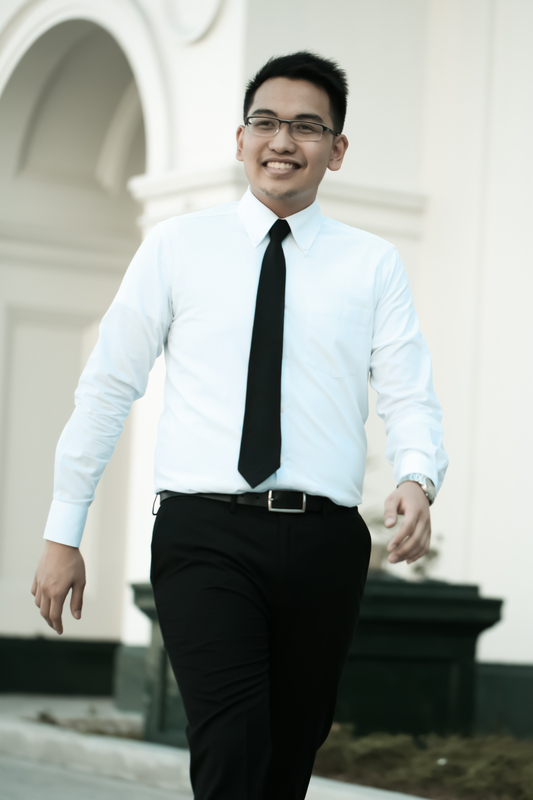 Since then, the DLSU Chorale has made for itself a reputation for excellence starting in 1989, in Japan, to the present in Greece where they won first place under the Adult Chamber Choir Category in both the 11th International Antonio Vivaldi Choir Competition and in the 19th International Competition of Sacred Music. There’s a lot more to tell about the DLSU chorale and, for those who are interested, there’s a great article that gives a lot more insight into the group and their exploits.